I got lucky with the weather and managed to get out most days but not always in the most ideal places. 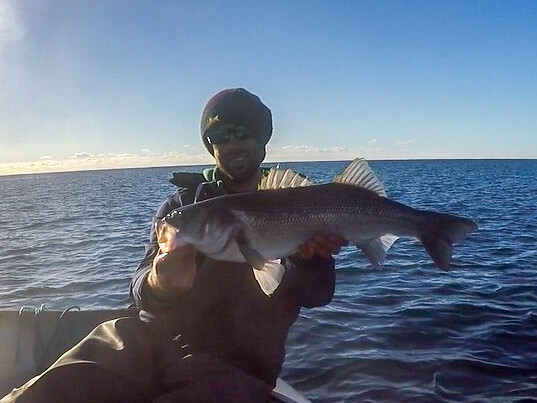 It started well giving me a couple days fishing my favourite shallow reefs and there was a lot of fish about and they where pretty hungry or so I thought. We had around 40 fish a day with lots of missed fish too. 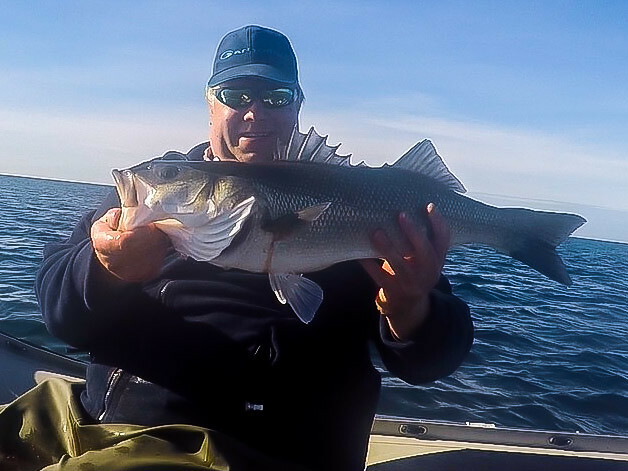 My lure of choice mostly was the Sammy 105 knocker fitted with two single Seaspin hooks. This lure caught me a lot of fish and got a lot of attention over others. It did also probably loose me my first double off the top. The fish swallowed the lure in one small gulp only metres from the boat, headshaking along the surface as I dragged it in. Yeah I was dragging it in… until it decided that it really should try something else and dived right next to the boat. Down it went as I watched it swim for freedom in the 6m+ vis water. I think my drag was too tight, well almost definitely haha as I watched the fish slowly slow down before getting near the bottom, at this point the lure pulled and came out the fishes mouth. He had won and had failed again! I’ve learnt to laugh at these moments now as it’s happened to much over the last couple of years. BAD ANGLING plain and simple and you’d have thought I’d have learnt by now? Interesting points to take from these two days though was that at one point I was fishing my Sammy and getting action then after a couple of fish the interest died. Dave next to me was fishing a fully silent lure. The Orion slider and continued to pull in fish one after another while the Sammy really didn’t get any more attention. Now we all know fish can get familiar with lures but this surprised me after just a couple fish how quickly they switched off the noisey one. I could understand if I’d had quite a few fish. A move to another part of the reef later and I’m catching fish quicker than Dave on the Sammy again… Thought provoking for us! The next lesson was finding an new way of surface fishing. I have always really always been a WTD person. Nice and slow, walky walky… caught me all my fish over the years happy days. Well on one day I remembered back to my first season. Never forget it but I was cranking the Patchinko back in for a re cast in rough conditions when the water erupted. Like seriously erupted. Still probably to this day, I have never seen an explosion like it. Now I had heard of people fishing the Patchinko straight but that had never appealed to me but I tried it. It only took one fish to realise it worked and well at that too. I’d crank the lure towards we me working it like a popper and then pausing. Pop pop pause in a straight line. The hits where explosive and mostly all on the pause resulting in more hook ups too. This then opened up anther trick, the pause… Now I’ve never been a fan of pausing. 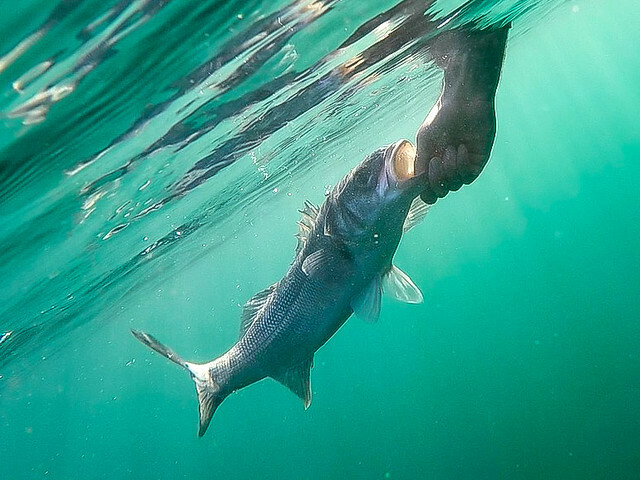 I used to try it if a fish had missed my lure but that never resulted in the fish coming back. Why I don’t know as now I have the confidence to play with fish a lot more and playing with pause has certainly resulted in more fish. But is this just a boat thing and the fact I see a lot of fish? I’ve missed a few fish from the shore this year from pausing and after you know full well you should have carried on? What a load of dribble, but this is why I’m addicted to surface fishing! Pop pop pause taken on the Small Savage gear Panic prey with a big ol explosion! 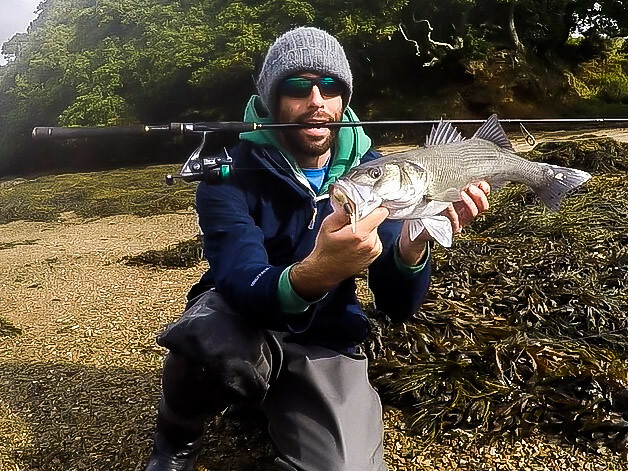 This was another interesting day for me, the weather had restricted me to where I could fish so I went for a play in a local estuary first trying out a new setup. Majorcraft N-one 10-30gm 8’6, Shimano Stradic 2500 loaded with 12lb Duel hardcoreX4. I had a fun morning playing around on different shore marks and took a good few fish to 4lb on various techniques. 56cm fish taken on a 10gm 4inch xlayer fished sink and draw but with a little tap at the top of the draw to make that rattle work. I then headed out exploring new ground on the way and catching a few fish on the way. I love how the boat gives you a different view of everything than the shore. I actually found a very nice shore mark. One that I believe has a lot of potential. I have fished it twice since with no luck but neither where in favourable conditions and it would take some leg work to really know when it’ll fire but it’s one for the future! I made it to a deep water pinnacle that I had my eye on. I couldn’t buy a bite for the life of me on soft plastics. The water flattening off over the top of the rock looked like I could try a surface lure. Bearing in mind it was 6m deep to the top of this pinnacle let alone around it. On went the Patchinko. Pop pop pause and the water erupted, big fish missed and it went straight back down to it’s hole… You just knew there was fish there and know I knew there was. Next drift and I landed a nice fish around 5lb. I continued to fish the rock through out the day. I had no more interest ott top after this but I knew there was fish there so I stuck at it with softs taking a few more fish of simliar size and dropping what felt like a much better fish. They certainly seemed to be holding in a ”hole” on the feature. It was a case of getting everything just right with the soft to get a take. Another lesson and thought provoking I left smiling. I did manage a couple more sessions in the week, one using my light gear I was welcomed with feeding birds in some choppy conditions. This was too easy, most fish where 50-58cm bracket and I ended the session with near 40 fish on my estuary setup all on softs. This is the first time I have actually ever got to be part of a feeding frenzy but it was fun for sure and another new mark gained. 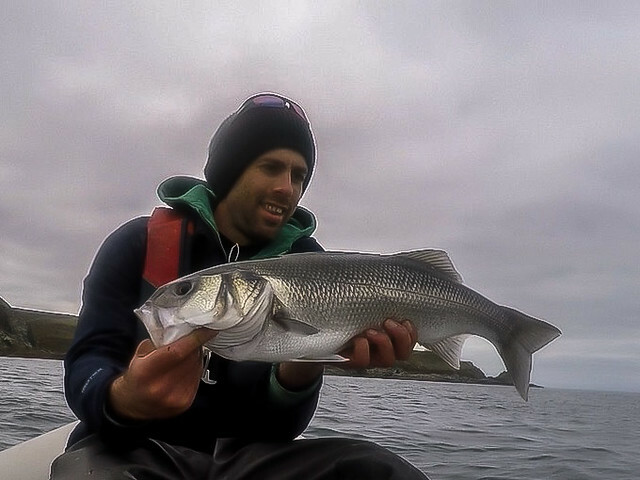 The last session was fun with some decent 5lb+ pumped up smashing my surface lures in some pretty rough conditions. Think I only landed a couple, dropped a couple right next to the boat and missed a load but I left like I had an eventful couple of hours and that ended what was a really fun and thought provoking week. I did manage a couple more sessions in the year but nothing really worth writing about. On to 2017! 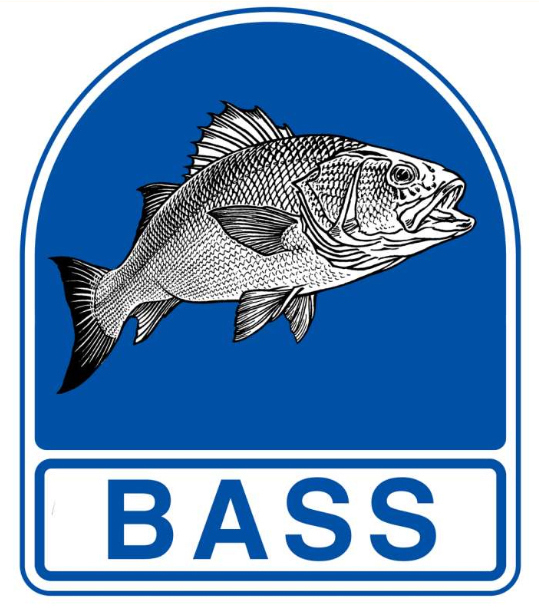 This entry was posted in The Fishing and tagged Patchinko 2, Sammy, SIB. Bookmark the permalink.